At Rosetta Stone, our team focuses on improving the way people learn languages. Everyday, real-world situations are essential—so we’ve made a new intro lesson for English and Spanish. 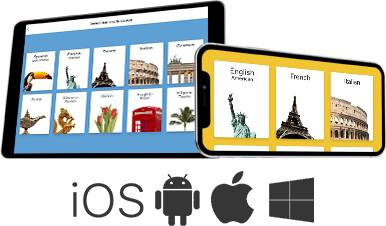 Created to be completed at your own pace, each of the 14 steps teaches you phrases and vocabulary that you can start using right away. Find out how to ask for directions, order food, greet new people, and more. Want to see what you can do with just this lesson? Travel blogger Kristen Kellogg put it to the test in San Miguel de Allende, Mexico, where she ordered coffee, talked to neighbors, and made new friends—all in Latin American Spanish. Want to give it a whirl for yourself? Take the demo.